There was a good article a few days ago by Brent Toderian in Toronto’s Metro News highlighting that if you use the “math of city-making”, which is often at odds with the way cities have developed over the last 60+ decades, you can build a better city. Brent has visited Auckland a few times to work with the council on planning issues and has talked at a number of Auckland Conversations events including here in 2013 and here a year later. Here are some of the examples he uses in his article. A common political argument is that bike and transit riders should “pay their own way.” A study in Vancouver however suggested that for every dollar we individually spend on walking, society pays just 1 cent. For biking, it’s eight cents, and for bus-riding, $1.50. But for every personal dollar spent driving, society pays a whopping $9.20! Such math makes clear where the big subsidies are, without even starting to count the broader environmental, economic, spatial and quality-of-life consequences of our movement choices. The less people need to drive in our cities, the less we all pay, in more ways than one. Another study in Copenhagen (where the full cost of transportation choices are routinely calculated) found that when you factor in costs like time, accidents, pollution and climate change, each kilometre cycled actually gains society 18 cents! A recent American study suggested that compact development, on average, costs 38 per cent less in up-front infrastructure and 10 per cent less in ongoing service delivery than conventional suburban development, while generating 10 times more per acre in tax revenue. Many cities overbuilding the suburbs are putting their fiscal future at risk — and that’s before the bigger picture costs are even included. Over the last decade, Canadian cities like Calgary, Edmonton, London, Halifax, Regina and Abbotsford have been doing the hard math on the real costs of how and where they grow — not just up or out, but how smarter design choices save costs. The resulting math has been powerful — tens of billions of dollars more of public cost for car-dependant suburban growth than for smart infill — and I haven’t even yet seen such a study that includes all the full and life-cycle costs of our growth choices. Once these shocking numbers are revealed, municipal leaders can’t “un-know” them, no matter what political ideology they live by. Want more examples? There’s math showing that replacing on-street parking with safe, separated bike-lanes is good for street-fronting businesses. That crime goes down as density goes up. That providing housing for the homeless actually saves public money. That you can move more people on a street when car lanes are replaced by well-designed space for walking, biking and transit. There are of course many others we’ve seen and covered over the years, including many local studies that have shown the same results as above. Do you have any city math favourites? Something wrong here? Motorists pay $1 and are subsidised by $9.20? Most motoring costs are fully private: capital, maintenance, petrol. If we are talking about ‘paying their own way’ maybe we can ignore all that, except for tax on petrol and whatever other taxes contribute to society costs. But if if only PTOW costs are counted, where does the public dollar a walker spends go? And parking. If you have off-street parking, you can estimate how much percent of your floorspace your garage occupies, and how much percent of your lot your driveway occupies. That’s a substantial part of your mortgage or rent you’re actually spending on parking. Or if you park your car on the street, that’s parking subsidised by the council. Yes we pay to drive but we don’t don’t pay to cover all the costs of driving. Of course there are local rates that pay for 50% of local roads, then there are other costs. For example environmental costs, congestion costs, the costs to our health system – both from crashes and from a greater number of diseases of inactivity. Roads also take up significant space in urban areas and other than the initial cost of buying that land, there are ongoing land costs (rates), cities/society in turn miss out on that taxable land meaning the costs have to be shared amongst everyone else. Pollution also, particularly in European cities kills 1,000’s; another cost not directly borne by motorists. Interesting they don’t list rail in their costs summary. I had estimated a $10 to $20 subsidy for Auckland heavy rail per passenger post CRL, I wonder if that is usual. Whatever the figure, and whether its “normal” for other cities. The congestion busting benefits of CRL will exceed the cost by a good long margin. As various studies of CRL have shown, there is no alternative option that delivers more benefits for the same or fewer dollars. The interesting thing is, based on ATAP, by the time the CRL opens, it will be only a few years until road congestion costs are able to be internalised by road pricing, thus obviating that benefit. I wonder what the studies would have shown if they assumed network TIme Distance Place road pricing would be in place post construction. They did their studies on CRL assuming daily carparking was on average $8 [in the then present day value] in the CBD for the whole term of their study – thus providing an incentive to drive. And you know what? CRL still stacked up financially. And Its been a few years since CBD car parking was on average that cheap and will never get that low ever again if AT stays smart. So – the CRL stacked up against that stacked deck of low parking and incentivised driving. 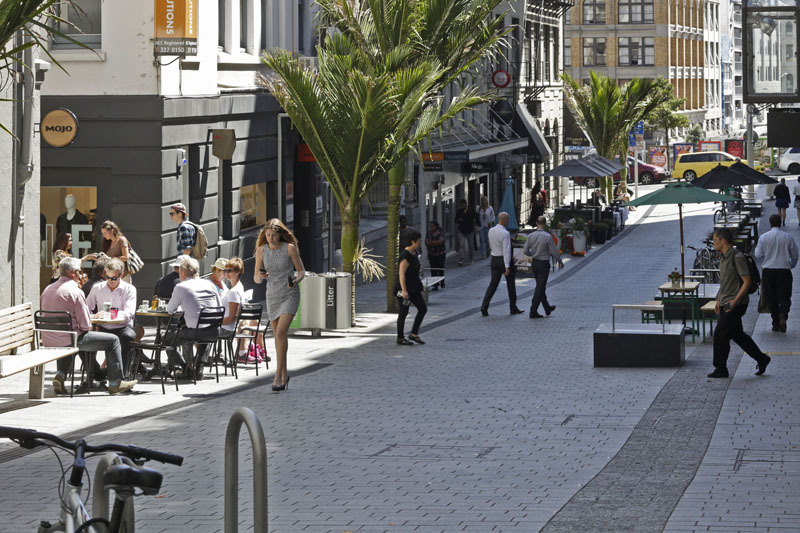 And as shown it will also would work better for everyone in Auckland [not just the CBD] than just the also considered do minimum option of only raising parking fees in the CBD [which is what we have now]. Which is what is probably one good reason that is stopping the predicted gridlock/meltdown in CBD traffic. Anyway, by the time network pricing comes in (*at least* a decade away according to Central Government last year, who after all don’t want to rush this new fangled tech that will be needed when they think driverless everything is just around the corner making it irrelevant). The CRL will be in, open and delivering year on year of benefits in spades. So we’ll have a CRL “Bird in the hand” versus the yet to be caught pair of network pricing and driverless car birds, still at large somewhere “in the bush”. I know what I’d rather have, especially if I’m desperately hungry now. In addition, you need RTN improvements like CRL to give all those low-value journeys that road pricing actively seeks to dissuade/divert – some other way to make their trips, for when they’re road priced out of being worthwhile in a car. You can’t simply trade off a transformative project like CRL against a network pricing scheme, because without also putting in better PT , and in advance. Road pricing won’t deliver many benefits, for very long. PT before the road pricing is what the studies all show, its what the people surveyed want to happen, it is also what is needed to make “the stick approach” of network pricing workable. And it also what those overseas cities are all doing with their PT. And it whats De Luew Cather said we had to do some 50 plus years ago. Which we have all but ignored! If road pricing was a panacea all on its own, then thats all everyone would be doing – putting in road pricing, leaving everything else as is and watch the traffic melt away. It’s. Not. That. Simple. It. Never. Was. Why would, or should, we bother with continuing our past “do either this or this, but not both” approach that got us into the mess we’re in now? A past in which we were told in big bold letters that we could not take an either or approach between PT and roads. We need a new approach to fixing the problems we have – rather than just using yet more of the same thinking and solutions that gave us those problems to start with. So, lets throw caution to the wind, and put more than “one [transport] iron in the fire” at once – for once. Then pull them out use them all at once, but in the right order. You need to remove the bullet, then cauterise/sterilise and seal it. Not the other way around. Otherwise the wound just festers. So no matter what your math says the CRL subsidy is or is not. CRL is a done deal, its committed to and happening. So lets looks to see how else we can lock in and sustain the advantages it will deliver us. To allow us to become more like those overseas cities that seem to do a better job that us of grasping their transport nettles. It was in decade 1 of ATAP so at most a decade away (albeit from 2018 when decade 1 starts). Regarding driverless vehicles, this will increase the need and value of road pricing, it certainly won’t make it irrelevant. The evidence we have is that road demand is already elastic. There is no good reason why we can’t internalise congestion costs now. ATAP has duffed road pricing completely. They have assumed it will be based on technology that doesn’t yet exist! They say that because of the technology they think might exist soon then there is no point putting in a road pricing cordon now. They may as well have assumed flying cars will fix everything. Singapore has already let the contract for a GNSS network pricing system. There are also systems running in Germany already. What crucial piece of technology doesn’t exist? How did you get to that figure? I estimate gross opex at $150 million p.a., while net subisides are in the order of $100 million. Meanwhile patronage is about 17 million. So that gives about $5-6 per passenger pre CRL, and significantly less aftewards — when patronage will more or less double to 40 million whereas net subsidies increase at a lower rate. Or have I screwed something up? I was including capital costs too. I tried to account for other capex as well (not just CRL). Recent and planned rail capex is on the order of $3bn, which, if we extrapolate it out over an asset life of around 4 decades (which is conservative for tracks and tunnels) and add a cost of capital, comes to a bit less than $200m per annum. At present, gross opex is more like $100m. That will probably increase post-CRL, depending upon train plans. However, farebox recovery is rising and will probably hit ~50% within a year or two, ie pre-CRL. So let’s assume (for the sake of argument) that there’s an annual subsidy in the range of $250m. I think this is going to be conservative as I’d expect cost recovery to rise a bit further as patronage grows. Conservatively, let’s say that there are around 20m annual riders when CRL opens, rising to (say) 50m over a 40 year period. That implies that, in the average year throughout the period, there will be around 35m journeys. That’s an average subsidy per trip of around $7, mostly comprised of capex. The difference between our estimates is, I think: Recent and planned capex is around 4.5-5b (Britomart, Dart, electrification, CRL plus additional spending to get to 50m trips). Also I looked at it in terms of a constant subsidy across time. While there will on average be 35m trips, the years above 35m are further into the future than the years below 35m. I worked it out by assuming a constant per pax subsidy and discounting back to NPV. I varied the subsidy until NPV = NPC. The estimates aren’t streets off in any case. I usually start by making some plausible assumptions and simple rule-of-thumb calculations and going from there. It’s usually roughly accurate. Problem I think is you’re depreciating CAPEX way too fast. The system could last for hundreds of years, it’ll probably only be retired once other technology replaces it. Apparently driverless cars are meant to do that tomorrow, but wasn’t nuclear the same? I wasn’t depreciating it, just basing it on a cost of capital. Lowest crime per capita or per unit of land area? That’s exactly right. And keeping police on the beat, in the same percentage, would reduce that again. There is zero indication in the criminological literature of a direct link between police per capita and crime rates. Bingo. Your unit of analysis (crimes) needs to be standardized (crimes per capita). Even that would be skewed, because there are many more people who visit the city centre (employees, tourists, students) etc but who do not live there. Higher density = surveillance through social interaction. Many apartment buildings are inward facing, and a lot of buildings just have blank walls facing the street. The street itself is distinctively unpleasant. The footpath is in remarkably poorer condition than the roadway, and is often blocked by vans. Most other public space is parking. Most private open space between buildings is parking. What’s left is the occasional scrap of dead green space. All in all not an environment where you’d hang out a minute longer than strictly necessary. Police: doesn’t matter. The police station seems to be a glorified parking garage. You have cars going in and out all the time but you can live there for months without ever seeing a cop outside a car. It doesn’t deter people from speeding and occasionally running a red light. And blocking the pedestrian crossing at red light. At night, despite that police station, it’s a favourite spot for kids with their weird tuned cars. So there’s maybe a little bit more “eyes on the street”, but not much. Hardly a surprise. The one way motorway out front ensures that design. Actually the highest crime areas are fields where music festivals are held. It turns out that serving alcohol promotes crime regardless of the density. Step 4: Sit back and have a cup of tea and feel grateful about the fact that it’s not -5 degrees outside. OK I get it now. Assume the cost of all roads are the amount society subsidises cars, even though buses and bikes also use them, then assume the cost society pays for cycling is just the cost of some cycle lanes, and the cost of buses is the farebox subsidy. Then put it all in a pretty graphic. Ignore the fact that most of the roads we build are simple two lane roads that are needed regardless of whether anyone is going to drive a car anywhere. Oh and be sure to assume that all trips have equal value. After all cost matters but benefits clearly don’t. Good. Now we can discuss the quality of the evidence presented rather than moan about its mere existence. In this post truth world, “pay your own way” as an argument won’t just be killed off by evidence if it continues to be repeated 30 times in the comments on nzherald articles and parroted by bandwagoning councillors. In the current climate, cycling would probably end up being banned if there was a high profile nationwide vote on it. A nice article. My current favourite is the large truck subsidy. Light vehicles (< 3.5 tonne) are estimated to cause 0.99c + GST/1000km in damage. This is folded into either the cost of petrol or the RUC for diesel vehicles. Most of the RUC goes to road building and other support costs. Damage goes up as roughly the 4th power of weight. The actual figure can vary a lot depending on the quality of the road, the terrain, the type of tyre and so forth. However, the 4th power is usually taken as a first approximation across many different types of road and vehicles. Trucks spread the damage over more tyres and axles. This spreads the load but adds a linear increase in numbers of times the load hits the road. So; if a 2tonne SUV causes 1$/1000km for 2 axles=1 tonne/axle, then a 40 tonne truck with 8 axles has 5 tonnes per axle. 5^4 = 625x the damage of the lighter vehicle per axle + building/support costs of 61$/1000km. Allowing for 4x more axles striking the road the total amount for damage alone should be 625$x4 = $2500/1000 km, ~8 x current rates. Now, I am sure that the real time number is less for a modern, well built highway, no question, but equally it must be far more again for a small secondary road. More; much depends on exactly what the highway was built to take; an even bigger truck than my example would push the relationship back up. the general principle that an exponential increase is being treated as if it was linear, stands. This is a huge subsidy for big trucks. Does it really matter? After all, it is just greasing the wheels of commerce so to speak. Well, it makes trains and smaller trucks that actually deliver stuff look artificially uneconomical for a start. If there was no subsidy for trucks, we would not have to 'subsidise' the rail. More. Trucks are bicycle killers. If there were fewer, fewer bicyclists would die each year. Transport is a major source of carbon emission, and heavy vehicles are a big piece of that. A properly used electric train would dramatically reduce the NZ impact on climate change…. Can you start again and try and make sense this time? Where does the mythical 4th power come from? Why after multiplying the 5 tonne by the mythical 4th power do you need to multiply it by the number of axles? Linear increase is a bigger myth than the 4th power as more axles spreads the load, it doesn’t somehow make it heavier. Also note that if you are getting away running a 2 tonne sticker on your SUV good on you but it should be running a 3 tonne. Single axle vehicles would defiantly be interesting to drive. Yep “defiance” is the way to go. The example given was a 40 tonne truck with 8 axles. The axle load was approximated to 5 tonnes per axle (40/8) so of course the result of the 4th power calculation needs to be multiplied by the number of axles. I appreciate that some people are poor at arithmetic calculations. Only a few of them revel in that shortcoming. So it is a mythical calculation them, a few differences between New Zealand and the US is one is Metric the other imperial, one runs five axle trucks while the other runs up to nine axles and one has high axles weights while the other has relatively low axle weights. Your failure to understand the empirical 4th power rule does not render it “mythical”. The rule simply indicates that the damage to flexible pavements increases as the 4th power of the load on the axle. It is thus independent of dimensions whether they be pounds, tonnes, kilograms, stones, grains, carats or grams. It also follows that because it is based on axle loads it is applicable independently of the total number of axles on the vehicle. American research in the late 1950s found that doubling an axle load could cause up to 16 times the pavement damage. This mathematical relationship between increase in load and increase in wear is described as the “Fourth Power” law or rule. The relationship is widely used nationally and internationally in the structural design of roads and asset management systems that predict road maintenance needs. The effect of this rule is that road wear increases at a higher rate than the actual increase in axle loadings above the reference weight. In the graph, the start point is standard axle loading (8.2 tonnes) and standard wear. E.g., full HPMV allows axle loadings 107% above the standard limits. Using the 4th power rule, the higher axle loading (8.8 tonnes) is calculated as causing just over 130% additional wear. This is partly reduced because the load is being carried on fewer vehicles (less passes). Higher axle and gross mass is reflected in higher RUC rates. MFD Just because I called your your calculation mythical doesn’t mean I don’t understand it, it is part of my job to understand it. You may want to try reading the links you post, at no point in any do you multiply anything by the number of axles “that damage caused by vehicles is ‘related to the 4th power of their axle weight”. Remember this is all based on a calculation that is 60 years old worked out in another country that have different axles weights, different total weights, a different weight system and on 1950s road construction in that country. If you read your cut and paste from NZTA it clearly states that studies here and in Australia have found that “4th power relationship overstates the increased wear caused to strong pavement” note that local roads (the road to your house) are built to far lower standards than main and arterial routes. I’m glad you had a good laugh about the Auckland trains running Windows XP, I hope you keep laughing when you find out they really are. Does your blanket bullshittery bluster know no bounds? (alliteration; such a wonderful thing!). I have illustrated that NZTA utilises the 4th power rule but you insist that it is not valid and that it is “mythical”. I have suggested that you contact the NZTA and tell them that (thus demonstrating how much cleverer you are than them). Tell you what..if you let me know your email address and password I will do it for you! different single exponent for road user charging). Looks like you are failing in quite a spectacular fashion there, Teddy! Do you need a link to the Seek website? NZTA base their RUC charges on this 60 year old foreign calculation as there is nothing better, if they used the calculation the way you suggest RUC would be much higher. The calculation is used to calculate damage by axle weight, more axles less weigh per axle so less damage not more as you suggest. NZTA have admitted and you even cut and pasted that they say this calculation overestimates the real damage cost. Again, try actually reading the links you post. NZTA base bridge design on 600 year old foreign stress equations too. That’s the great thing about physics; it doesn’t change over time, or over borders. Best thing would be to increase RUC’s for all diesel engines regardless of vehicle size. Axle loads are not our biggest problem, it is the particulates created in diesel engines and the largest growth in these is cars and SUV’s not trucks. France is polluted from diesel engines, the UK is heading that way as well. Now they are saying the magnetite in particulates causes Alzheimers. Diesel engines more resistant to flame – thus Soviet tanks WW2. Can’t increase RUCs for diesels unless we can guarantee there isn’t a PaK-40 hiding in that bush alongside the Southern. I have never understood why the allies persisted with the Sherman (or Ronson to the Germans) when they could have used the T34. They got the sherman sorted out with the Firefly version. Was it not all a numbers game? Same as t34, lots vs few. Agree, although we have been there before with taking RUCs and fuel tax for anything else than spending on road maintenance and construction and it’s not popular. Good approach, plus a 200$/tonne carbon price. [img]https://pbs.twimg.com/media/C1glM7FUoAAbhXd.jpg:large[/img] – ok. Not actually sure how to post images. But you are more than welcome to cut and paste. Actual damage done by a heavy truck trailer unit having parked up on the kerb and footpath. Bet you the trucker wont being paying to repair this. The rate payers will. I wander how much this one stretch of vandalism will cost? This is just one little bit of a North Shore street. Now multiple it by all the other illegaly parked vehicles and suddenly the rates bill could be getting rather large! So every time the anti rates people scream to have their rates dropped, just point out to them where some of this goes. That’s the result of city maths. Kind of a good thing, as the high cost of city economics will ultimately drive people back to the lower costs of provincial living. “drive people back to provincial living”. I want what you are smoking. 10k left, but how many people went the other way? And when are you driving back to Napier? I certainly know one of two families who have done this for similar reasons. They always have and they always will. But they are rounding error. Nothing to see here, certainly no impending exodus to the provinces. Quite the opposite, unfortunately. Geoff I think that the 4k deficit in AucklandRegions movement is only due to the insane house prices and congestion in Auckland right now. With the unitary plan (and hopefully some positive additions) combined with improved PT infrastructure, perhaps we’ll see both of those obstacles relaxed over the next decade. Auckland could begin drawing people from within New Zealand again. I also think it’s partly due to age. Lots of younger people coming in to the country, so they head to the cities to work, at the sametime older people leaving the city as they no longer work (a lot) and want to quieten down. 43k new arrivals in Auckland in 2016, but when you take out the 37k from overseas, that only leaves 6k. Basically, kiwis are leaving Auckland faster than they are arriving. Auckland’s growth is a result of it having been turned into an international resettlement camp. Many new arrivals are in fact “downgrading” from even larger cities that have even bigger problems than Auckland. Evidence? I’ve never read any proper analysis showing a link between diversity and positive outcomes (except for some data showing a link between women on boards and company success) but perhaps you have some data I haven’t seen? Based on the stats dept, most of those 37k will be returning kiwis. So there is a net gain of “kiwis” settling in Auckland. And how many of those leaving Auckland were, like you, not from there in the first place? Puzzled as to when “maths” became “math”. It happened at the same time everything became North Americanised as everywhere else in the English speaking world it is maths. Was going to pose the same question in my original post, but thought better of it. But yes, maths is the correct word in New Zealand. So is the term railway station.